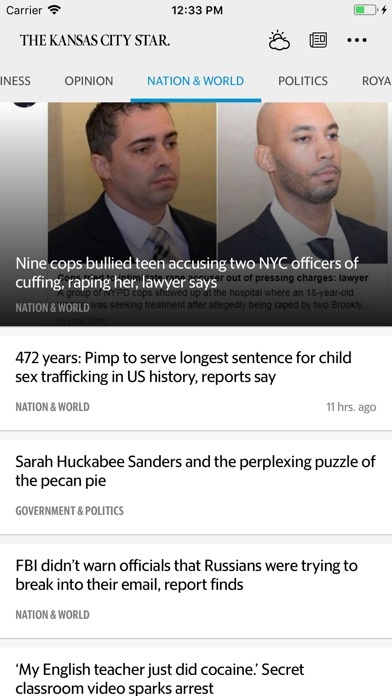 Why is it that the top story published in the print edition can’t be found in the app? 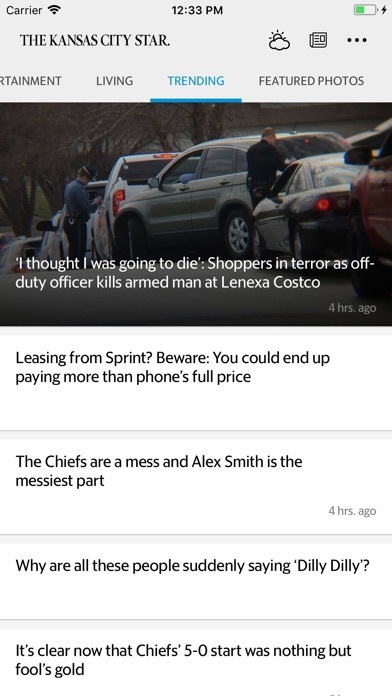 Both my husband and I rely on The KC Star App to stay current with things going on in KC. The news on T.V. seems to be super hyped like they are the first one covering the story and at times getting information wrong. We just want the true facts and not so much doom and gloom. I definitely preferred the e-edition that replicated the organization and look of the print edition! This jazzed up version demeans the tradition and excellence of the Kansas City Star. You do still have real newspaper subscribers who would like to read the newspaper each morning wherever they are without waiting for the print delivery to arrive. Enjoy the digital Star edition ... far more timely ness and sports than the printed edition. Great for KC expat I'm Seattle. It may sound like an over exaggeration but the star has the juiciest true stories, about common city folk, I’ve ever read. I purposefully read for 2 hours a day from about 24 different sources. But no news keeps my eyes wide open, and my mouth hanging open in shock, quite like the star. Not sure if the star app is for you? Well, do you desire to read an article about a contractors services being rejected , so he threw hammer at the home owner that rejected him? Look no further than the star. Would you like to see an article that does a play by play, every single step of the way, about a car wreck? The star is here for you. Do you want to know about crappy city officials that are up to no good? Don’t worry, the star has all the details including every single f’ up that city official has ever done, and how much it cost tax payers. 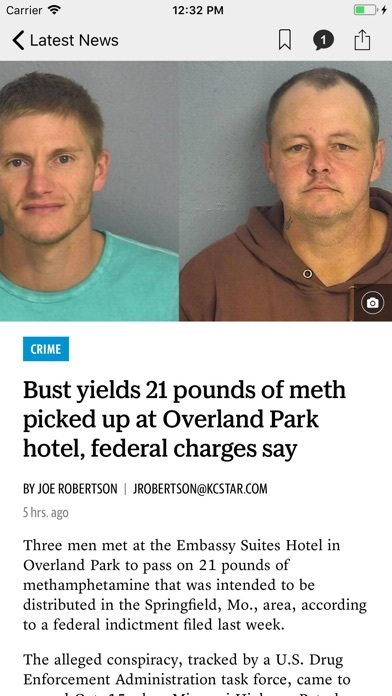 My friends, You don’t get just one juicy article a day about the city. 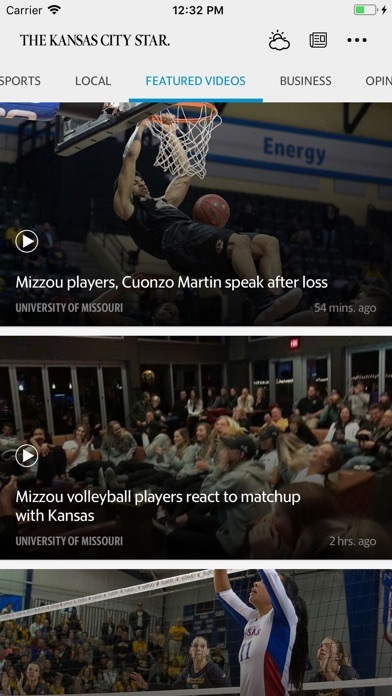 Instead you get a brand new list, full of stories, every single day with the star app. In summary, I am addicted to the star. You should be too. The subscription service portion of the app was not readily responsive on my tablet. Stop paper calendar did not work. Had to type date in. App shut down in mid process and had to log in again. Frustrating experience. KC Star is a great newspaper with great coverage of the Chiefs! Easy to use. The perfect amount of push alerts. Phenomenal information. Important news to know and great content about restaurants, sports, technology and more! Great paper online. Great sports coverage of our home teams since we live in Arizona we wouldn’t normally see any news or sports of our hometown. We both enjoy reading about KC as we often visit so we are kept informed of new restaurants and new things to do in KC. Wonderful downtown improvements, The Star covers all of this! Give me my paper back! I closed the app to make breakfast and when I re-opened it it was not in the same format. Awful. I don’t have time for this. The new version doesn’t play well with Twitter since the iOS update. All other newspaper apps I have do fine, but not this one. When Tweeting an article, one cannot scroll within the open window to add one’s own commentary. When switching to another app, then returning to this one, it returns to the default tp story whether or not that’s where you were. It only marks articles as read until you switch sections. If you return to the previous section, all articles are marked unread. Many of the articles appear in more than one section giving the appearance of more content than what is actually there. Maybe they should try that trick with the print edition, they could have more space for ads. It’s very annoying, but then again, it is The Kansas City Star. It one of those apps that make me sad I have to give it one star vs no stars. I realize hard copy newspapers have been replaced by e-versions for mainstream readership, but this e-version/app is awful. The Star no longer provides anywhere near the same amount of info or stories that previously appeared on a common basis in the print version (which in itself is also underwhelming). The majority of news are feature stories and very seldom is their current, up-to-date information or stories. It’s difficult to find specific information or topics, particularly in the sports section. 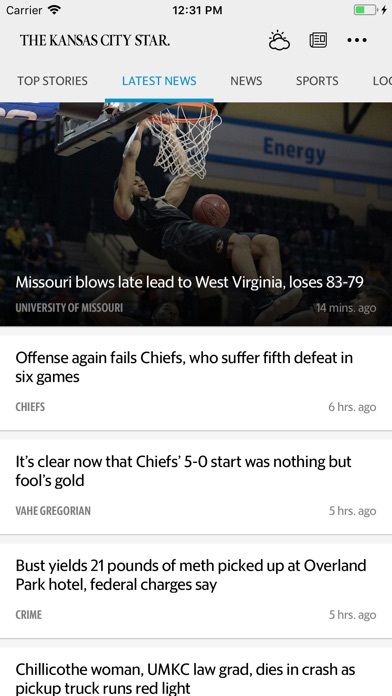 I now leverage the St. Louis Tribune app more frequently to find information, which is disheartening. That’s all: KC Star has been crap for a long time. Only figures that they’re website and app are crap as well.